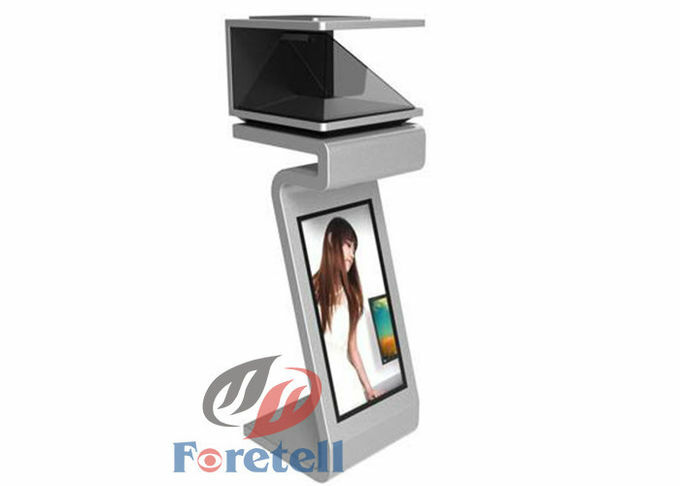 This hologram showcase can also be used in an exhibition or event, to make your products or company stand out from the others. Whether it is used in a shop window, an exhibition, a museum, or a special event, a hologram showcase can make the presentation more attractive and intriguing. The 3D objects can be viewed without wearing any special glasses and no visual fatigue will be caused to human eyes. 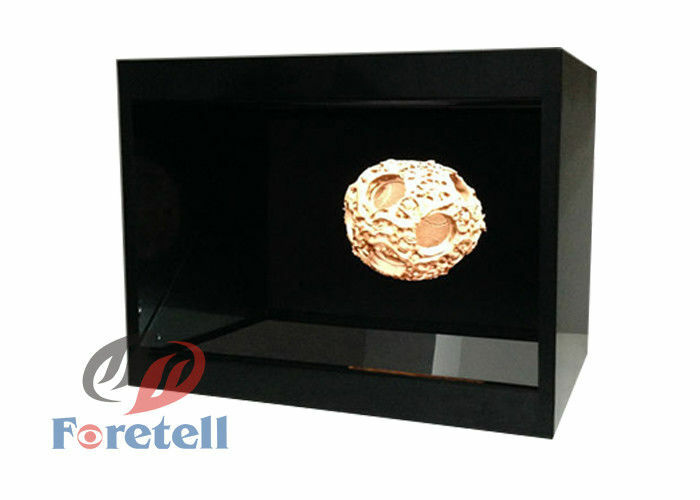 3D Hologram display/showcase is a display technology that has the ability to provide all four eye mechanism: binocular disparity, motion parallax, accommodation and convergence. The chamber can be seen from all 4 sides.Due to its stunning visual effect, it quickly becomes the center of attention in any retail shop or exhibition, creating that all important foot traffic and brand awareness. 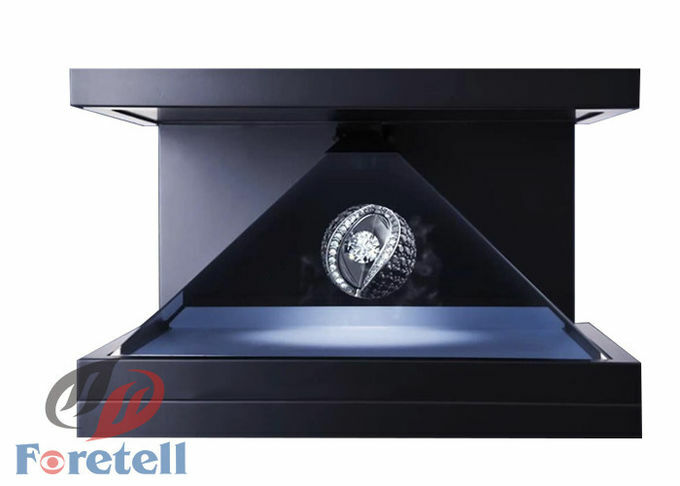 A hologram showcase can add extra appeal to any advertising campaign, as a display case that combines real products with illusory ones is sure to make consumers do a double take and pause on the ad itself.